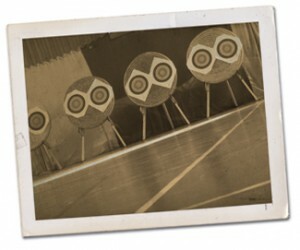 Talisman Bowmen were first formed during the 1970’s and started shooting at Fairthorne Manor. As numbers grew the lack of space and distance meant that a new venue was needed. Moorgreen Hospital at West End was chosen, and the Talisman Bowmen Archery Club was officially set up. 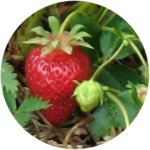 The name Talisman, apart from being a lucky charm, was also the name of one of the locally grown strawberry varieties. The move to our present outdoor range came in 1980, when the Hospital grounds were to be developed. Fareham Borough Council agreed the use of the Hunts Pond Road Recreation Ground as our new range and we have been there ever since. Over the last few years, as the club’s membership has increased, the range has been improved and now boasts permanent marking of all the main distances and target positions that are likely to be required. The aims of the club have really changed very little since it began. It started as a club for friends to shoot together. Now we can boast over thirty members, those members all know one other and the atmosphere at the club is always friendly. During the winter months, the club meets on a Wednesday evening for indoor shooting, coaching and beginners’ classes, at Brookfield Community School in Sarisbury Green, near Fareham. Also, on a Monday evening, the club meets at nearby West Hill Park School, Titchfield Common. Between them, Talisman’s ranges offer good all year round shooting facilities to our members. The club has a wide mix of age ranges and commitment levels. We take juniors from the age of ten and we do not have a retirement age. Many of our members wish to shoot purely for fun and the social aspect of getting out and meeting people. For those wishing to shoot in competitions, our Tournament Secretary will have information of what is available locally and some further afield. Whatever your level of commitment there is always a friendly, jovial, atmosphere, tempered with advice from qualified coaches, and the thoughts of experienced archers. As a club we hold an annual open tournament aimed specifically at junior archers. Our Indoor Junior Tournament has been held during the winter since 1991 and is widely regarded and enjoyed amongst local archers. All the archery events we host require a lot of organisation and involves the whole club both in the preparation for, and on the day, of the events, any help you can give will be most welcome. A committee ensures the smooth running of the club, and elections to the committee are held at the Annual General Meeting. All club members are eligible to be elected on to the committee. Download our Membership Application Form and return it to us. If you want to shoot you will need to provide evidence of having passed a suitable beginners course. If you’re returning to archery or have previous experience please contact the club coaches, their details can be found on our contact page. Strawberries are entwined with the area’s history and the field where we shoot today was once strawberry fields. Now deemed a heritage variety, and considered one of the top five most deliciously flavoured strawberries, the Talisman Strawberry was a firm favourite among growers in the 70s when the club was formed. Club coaching is provided by County Coach, Martyn Paine and Malcolm Fleet, both well known for their long experience and abilities working with archers of all levels.